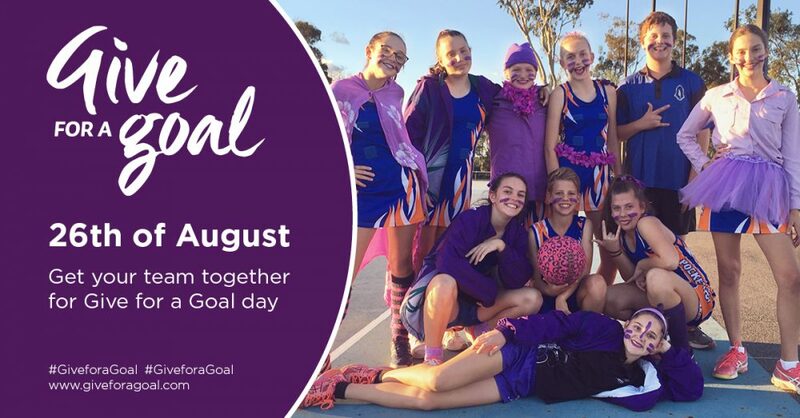 The netball community is coming together on the 26th of August for 'Give for a Goal Day' to raise funds for the Confident Girls Foundation. The day is focused on uniting netball clubs and associations around the nation to show their support for vulnerable girls who are faced with barriers related to gender, culture religion or geographical location. All fundraisers go into the running to win some great prizes, including signed merchandise, tickets to a Samsung Diamonds test match or Suncorp Super Netball match and the opportunity to experience a coaching session with Samsung Diamonds Coach, Lisa Alexander. The Confident Girls Foundation provides opportunities for vulnerable girls to overcome these challenges and help them realise and achieve their dreams both on and off the netball court. Using netball as a delivery tool, the Foundation provides a safe place for girls to come together and build sporting and life skills, including leadership, teamwork, acceptance, resilience and sense of belonging. Having assisted over 20,000 girls, the Confident Girls Foundation’s 'Give for a Goal Day' focuses on raising funds in order to increase its reach and achieve its objective to support 50,000 girls by the end of 2017. The donations for the day have already started coming in, with Suncorp's #TeamGirls making their pledge of $50,000 to the cause. So, register your event, set your fundraising goal and have fun, all in the name of helping girls become resilient, empowered and confident young women.